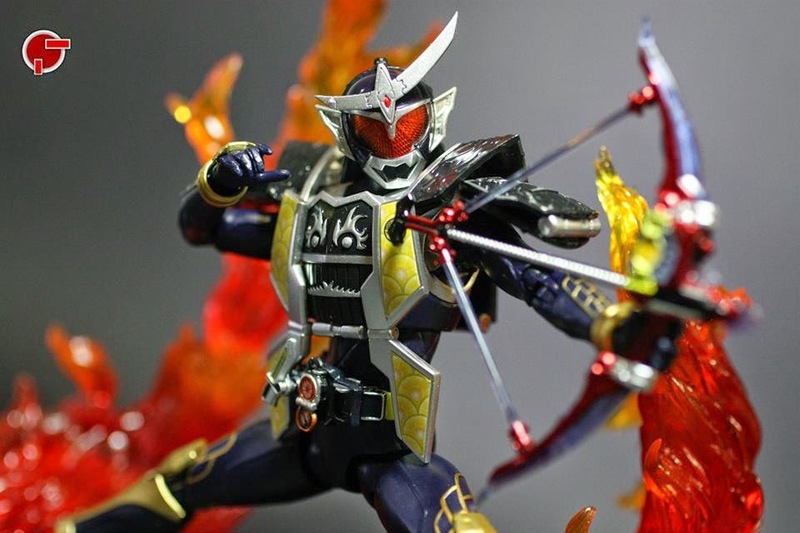 The rain of exclusives under Bandai keeps on pouring and part of that is the S.H. 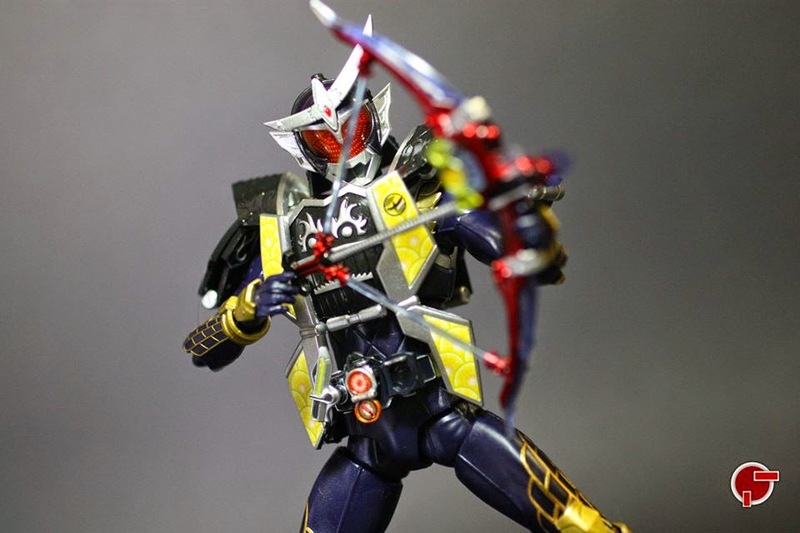 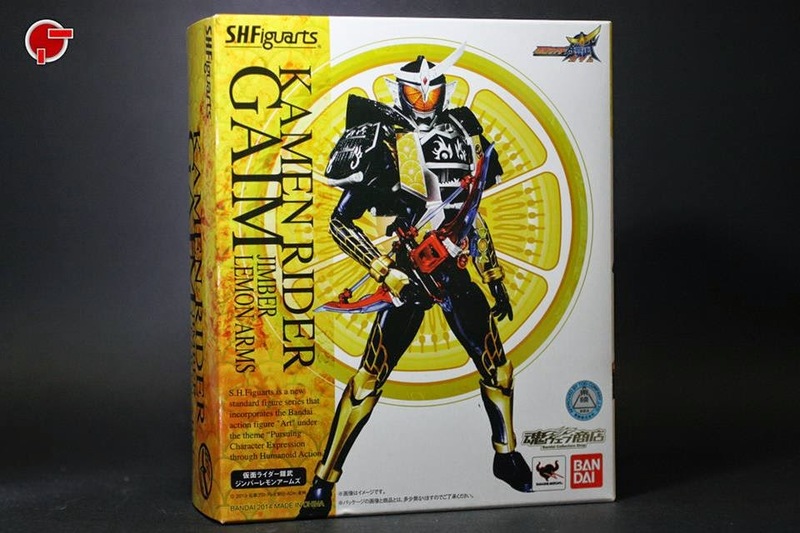 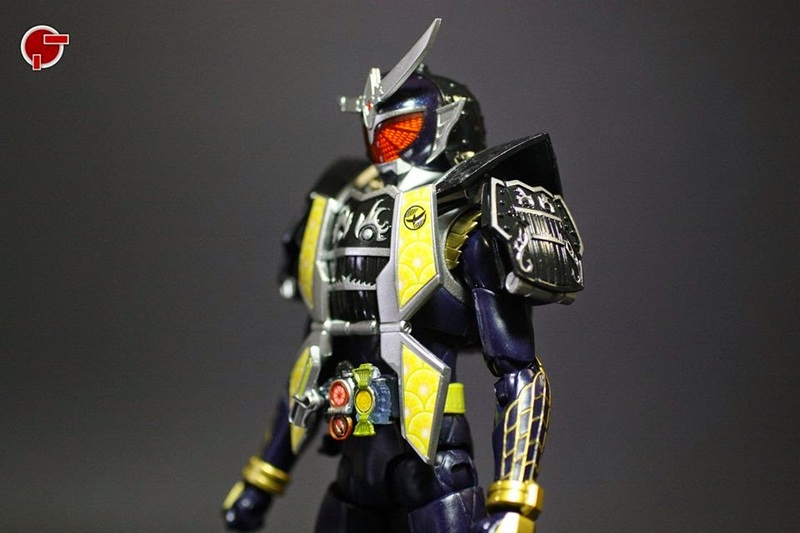 Figuarts Kamen Rider Gaim Jimber Lemon Arms. 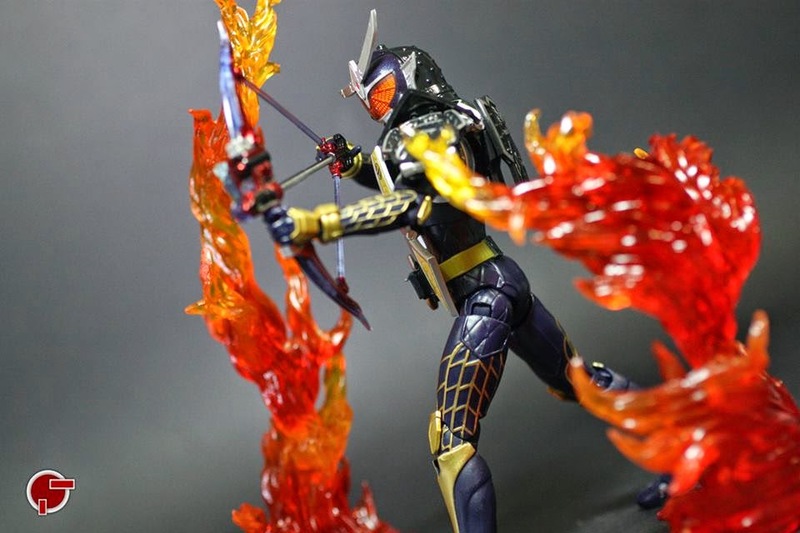 Jimber Arms obviously a mix of Orange Arms with a twist. 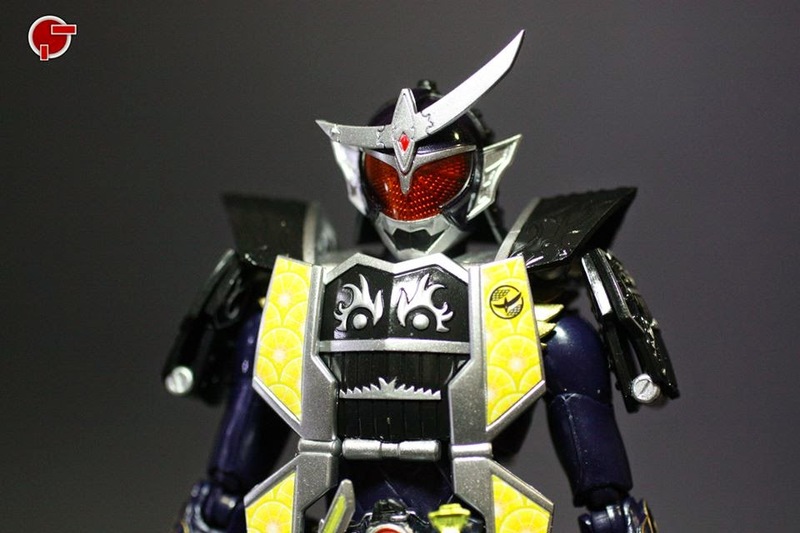 It uses the Orange Arms frame then with an additional armor that resembles a jinbaori. 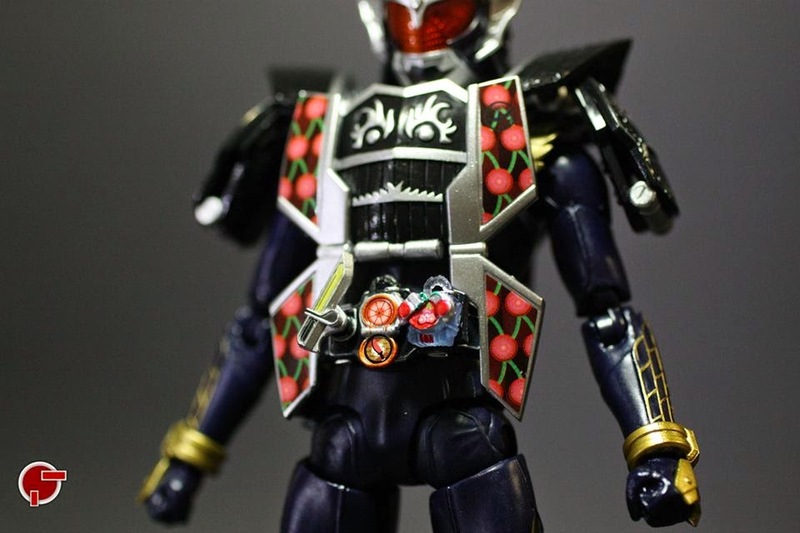 Then the belt comes with the Genesis Core to work together with the Orange Lock Seed. 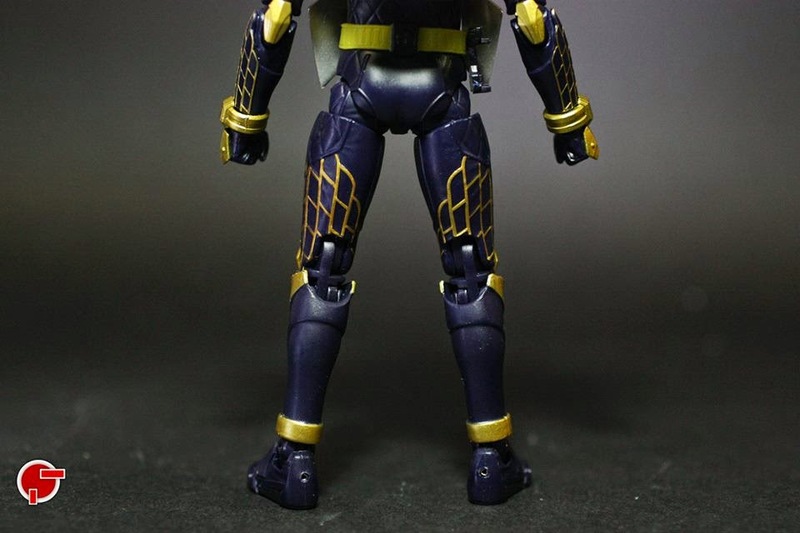 Out of the box, Jimber Lemon Arms is the initial form. 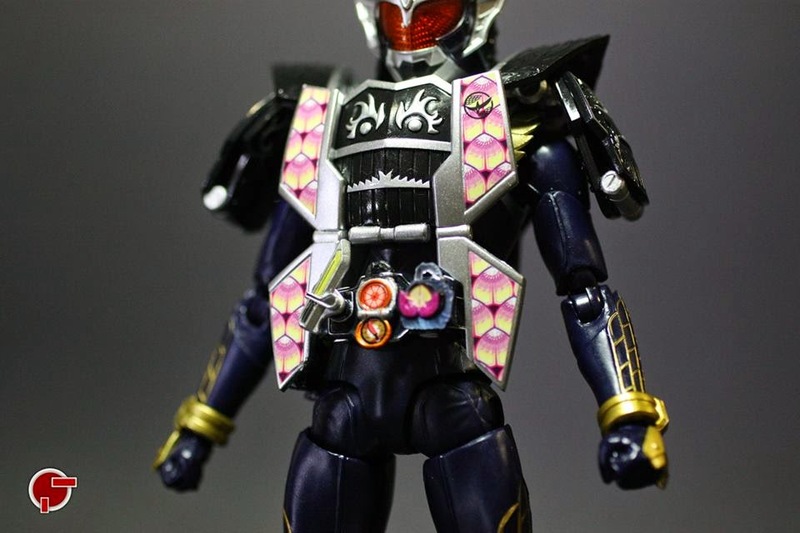 Extra parts include 8 extra hands, two versions of the Sonic Arrow and the other Energy Lock Seeds namely Cherry, Peach and Melon with their matching chest accents. 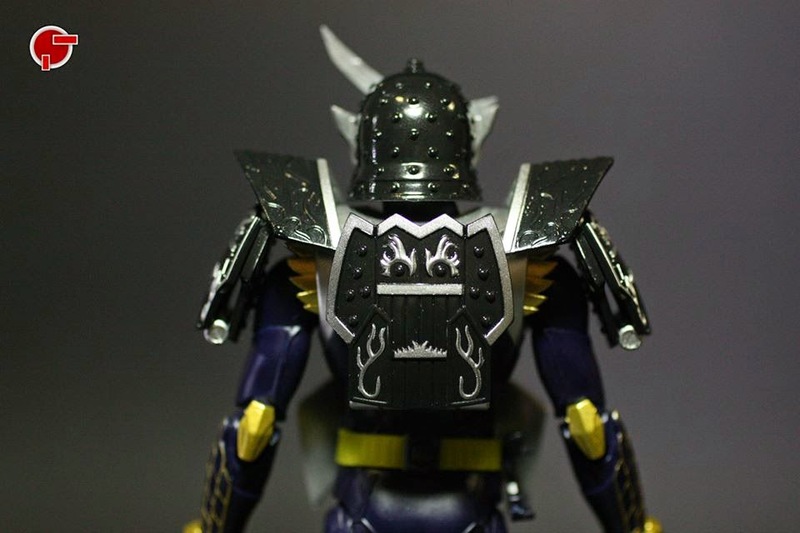 The design of the plates varies showing the inside or exterior of the fruit/berry motif. 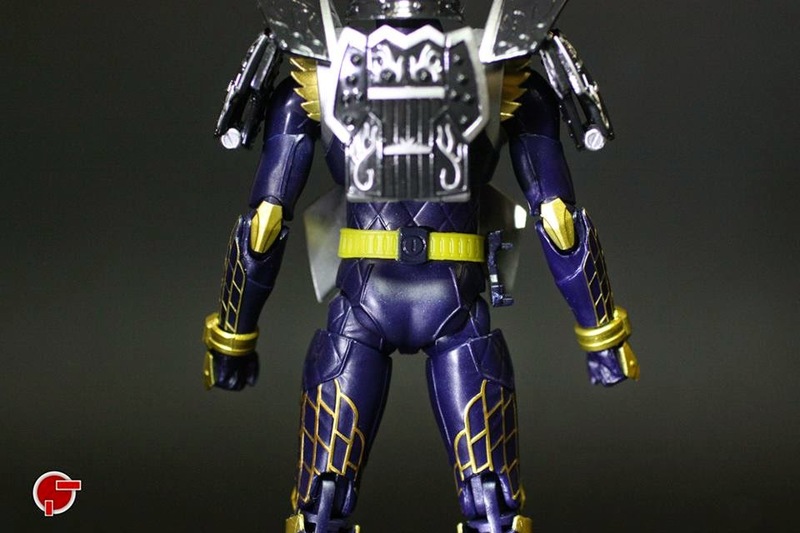 Also each plate is held by one ball joint which allows some kind of breathing room for the extremities to move. 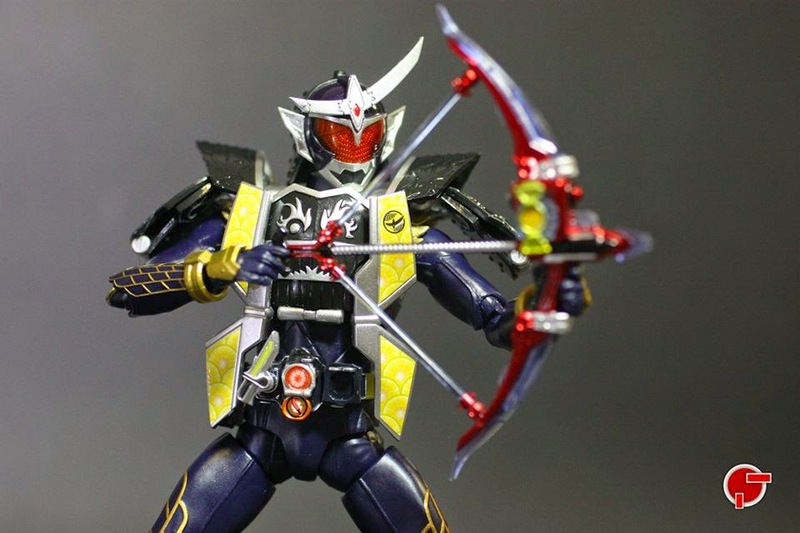 Finally just like Zangetsu Shin, you can use any of the Lock Seeds on the Genesis Core and the on the Sonic Arrows. 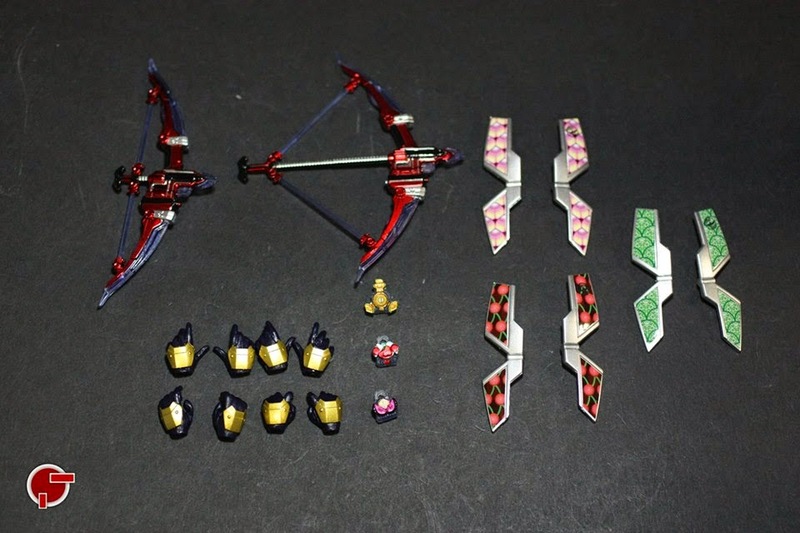 As it is, Jimber Arms falls under the category of good to have but not an immediate buy. 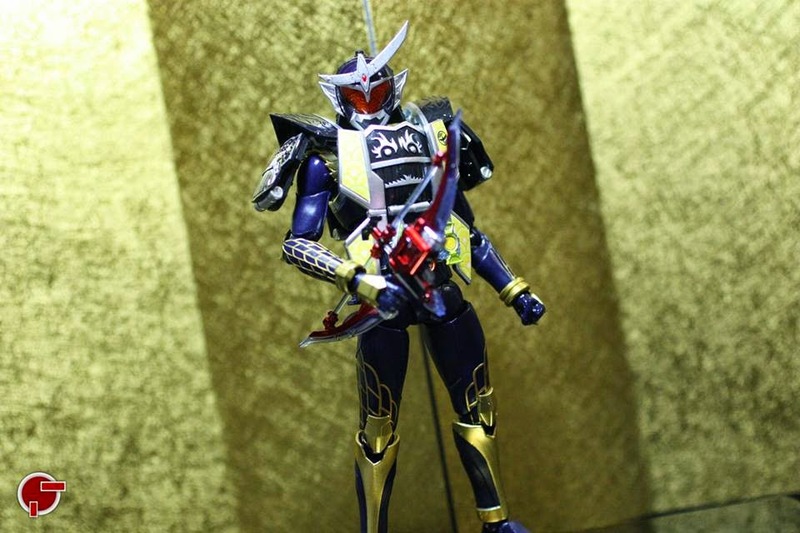 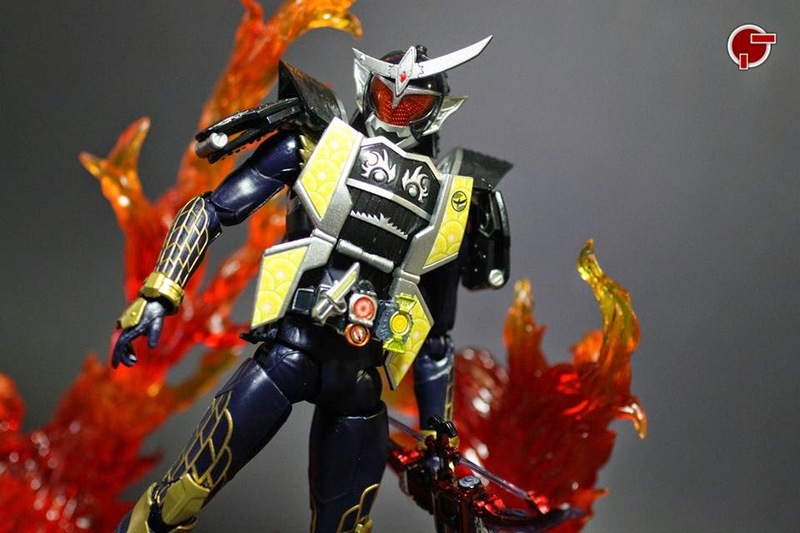 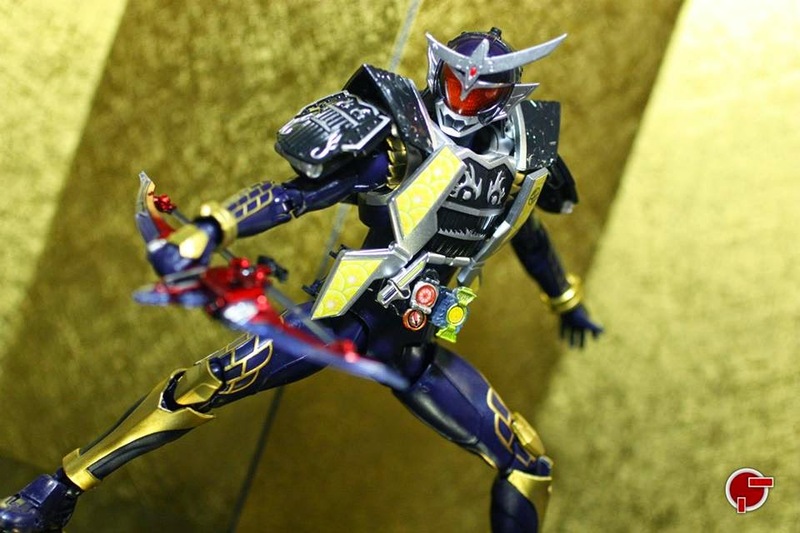 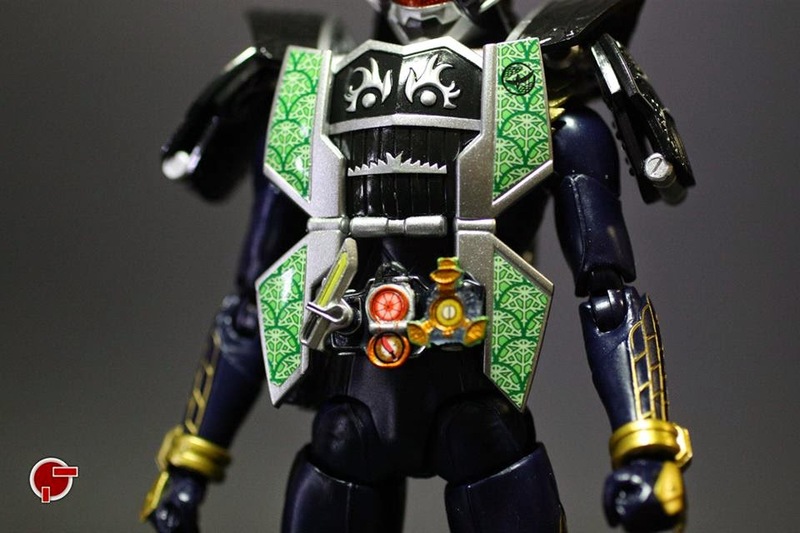 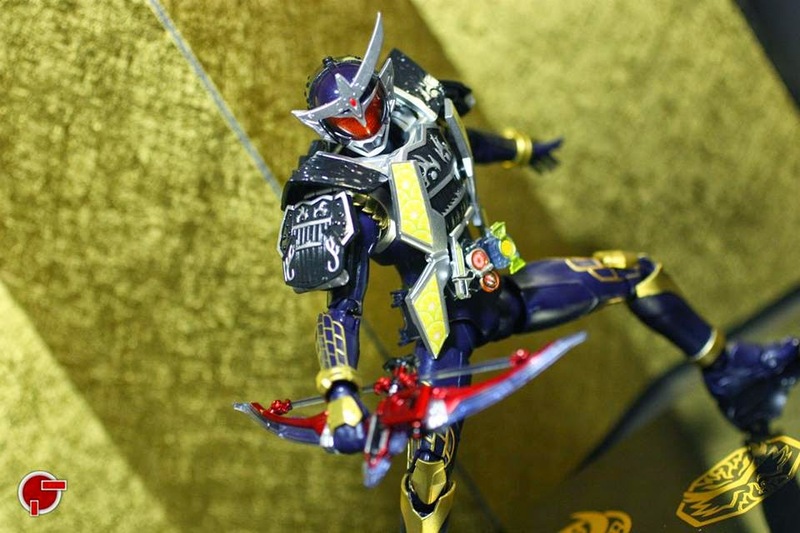 It has the characteristics of Zangetsu Shin but the plates do limit some movement on the figure. 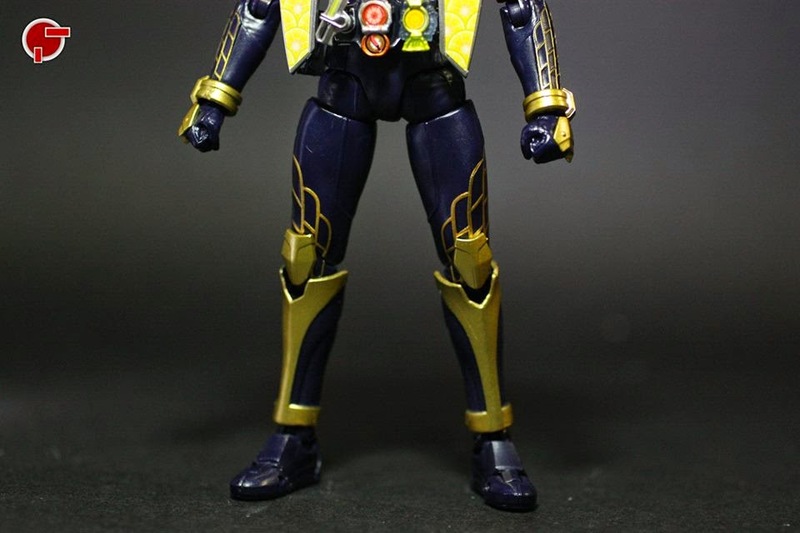 For the most of it, Jimber Lemon Arms is elegant next to the rest of the riders. 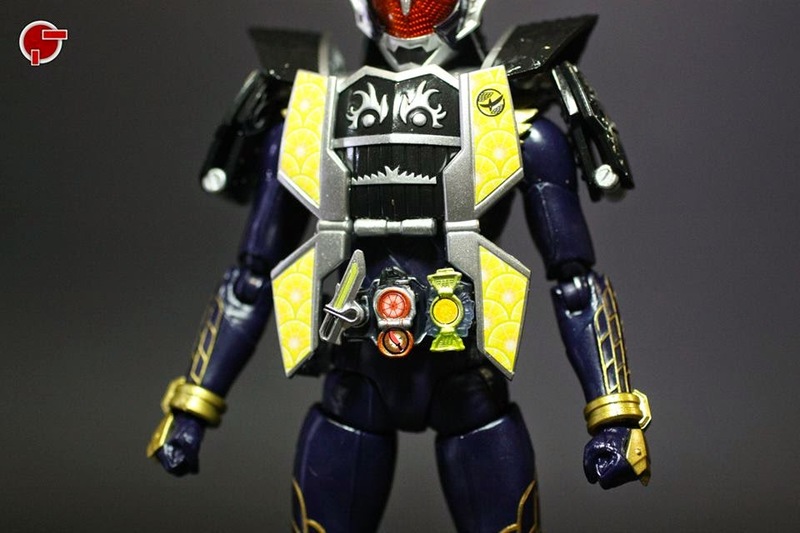 If I would to choose, I’d prioritize other upgrades first before rushing to purchase Jimber Lemon Arms.